There are different versions of the Zonit Micro Automatic Transfer switch available. 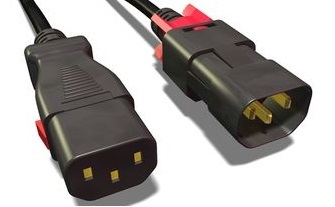 The standard single-port version has a C13 connector integrated at the switch. The 1-port “Y” model has a 22cm long cable at the C13 connector. 2-port and 3-port “Hydra” versions are also available. Both are particularly suited for use in highly dense environments. All versions handle voltages between 208 and 240 volts at up to 8 amperes. The zLock power cord sets itself apart with a locking mechanism integrated into the plug that clicks into place when a C13 or C19 plug is used for the power connection. This also prevents the power cord and the equipment connected to it from being disconnected at any time either accidentally or as a result of vibrations, thus ensuring an uninterrupted power supply and preventing downtime or even damage to the hardware. 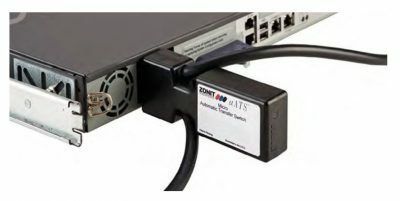 To relocate or reconfigure servers, PDUs and other equipment, the zLock plug can simply be disconnected by releasing the red locking mechanism. The locking mechanism is directly integrated into the C13 or C19 plug for the zLock solution and does not require a counterpart for the respective socket. This means that standard wall and PDU connections can be used depending on the version. The zLock power cords are also available as versions with dual sided locking mechanism (sliding tabs (C13) or twist lock (C14). The zLock Dual Sided IEC Locking Cable is the first truly universal C13 to C14 locking power cable that is 100% compatible with existing plugs and receptacles! 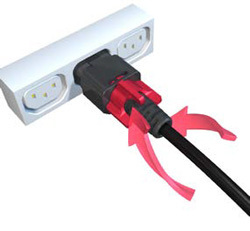 The dual locking cables simply replace existing power cables and eliminate any accidental and vibration disconnects. They do not require a special mating plug or receptacle in order to have a secure connection. The power cables and all connected IT devices are well protected against unintentional mechanical disconnections and the resulting power supply disruptions which lead to downtime and possible hardware damage. The zLock Dual Sided IEC Locking Cable can be released by simply pulling the red sliding tabs of the C13 connector or opening the twist lock on the C14 side. 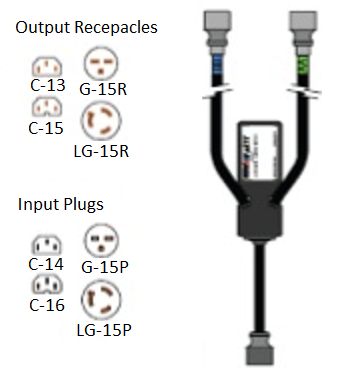 Simply replace your existing power cable with the zLock Dual Sided IEC Locking Cable and enjoy your increased uptime. The zLock power cords are also available as versions with single sided locking mechanism (directly integrated into the C13 or C19 plug).